The AquaBar Shower System by PULSE ShowerSpas replaces your existing showerhead with an adjustable slide bar and multi-function hand shower. Position your handheld at perfect angle and desired height with 23 inches of vertical adjustment. The multi-function handshower can easily switch between functions with the push of your thumb. The AquaBar easily installs at your existing showerhead location and utilizes your hot/cold shower valve. Available exclusively in our Diamond line, the AquaBar comes in a chrome and brushed-nickel. PULSE ShowerSpas introduces the first completely pre-plumbed shower panel to the Diamond Line with the gorgeous La Mesa ShowerSpa. Every shower panel is unique in its own right, made of beautifully reclaimed brushed copper, subtle imperfections add character and charm on every panel. 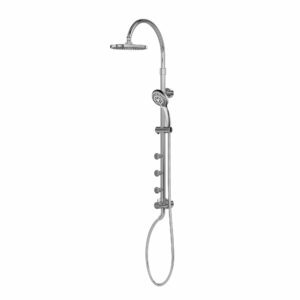 The La Mesa comes equipped with an 8 inch soothing rain shower on a convenient side-to-side pivoting arm, six Silk-Spray™ body jets, a multi-function hand shower, and useful glass shelf. This La Mesa simply connects to the hot/cold water supply lines and secures to the wall with a versatile mounting system. Make every day a spa day! The Monaco ShowerSpa is part of PULSE ShowerSpas’ exclusive Diamond Line and is designed to use your existing valve. 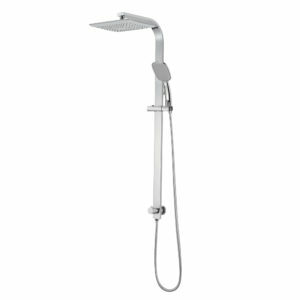 Replace your old showerhead with this elegant and modern shower system. 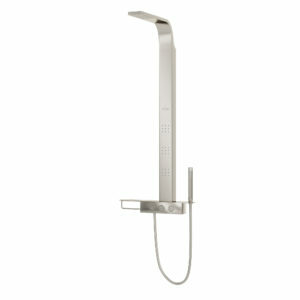 The integrated brass slide bar allows adjustable height control for the hand shower. Easily switch between functions using the conveniently located lower diverter. The soothing, square rain showerhead and handheld can be used independently or together. Available in chrome, brushed-nickel, or oil-rubbed bronze to match any decor. PULSE ShowerSpas’ Monte Carlo adds style and beauty to any shower. A shower system exclusive to our Diamond Line, the Monte Carlo replaces your old showerhead with a contemporary showerhead and multi-function hand shower. 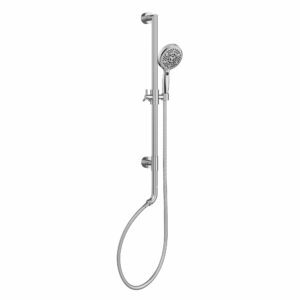 The integrated brass slide bar allows adjustable height control for the hand shower while providing a conveniently located diverter for switching functions. 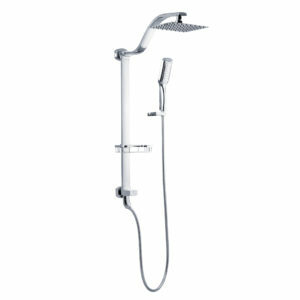 The soothing, rectangular rain showerhead and multi-function handheld can be used separately or together for a multitude of spray combinations. Available in chrome or brushed-nickel. The PULSE ShowerSpas newly designed Paradise is made of stainless steel construction with brushed finish. The Paradise offers a soothing rainshower, three high-powered body sprays, sleek wand-shaped handshower, a convenient storage shelf and washcloth holder. The three diverter buttons allow you to easily and conveniently switch between functions. 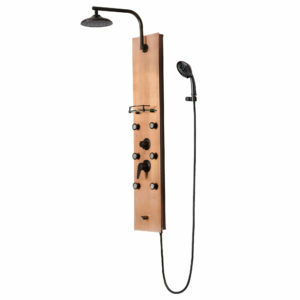 The Riviera Rain ShowerSpa includes three multi-function body sprays with on/off capability, 8 inch rain showerhead, five-function hand shower, slide bar, and is made of Brass and ABS construction.